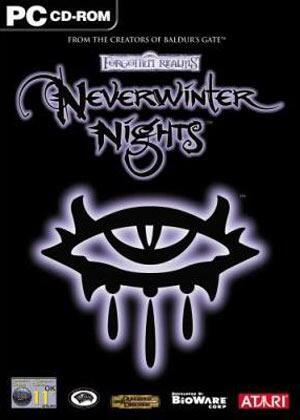 GB: How is development coming along with Neverwinter Nights? What areas of the game are currently being worked on, and what areas are still left before the game is finished? Greg: Development on Neverwinter Nights is moving along extremely smoothly. We're working on a number of fronts: fine-tuning the story and dialogue, working on code optimization for speed, building in scalability of the graphics engine, and most importantly going through a full pass on the interface to make sure the game is fun to play. GB: How many hours of gameplay will the single player version offer? Additionally, will it offer enough side quests and other (extras) (like BG2 did) that a person could conceivably replay it several times? Greg: We're aiming for sixty (60) hours of gameplay. One of the most powerful things about the Neverwinter Nights scripting system is that we can be much more specific about letting NPCs recognize characters of different race, class and even attribute (like Intelligence) - this allows us to make many more specific quests targeted only to specific players. One of our goals in Neverwinter Nights, as always, is to have a lot for the player to do in terms of non-story related events. GB: During the Interplay lawsuit, there was some talk that NWN may have to switch from using a D&D license to a D20 license (depending on the outcome). Now that things are finalized, and Infogrames will be publishing the game, will the game mechanics or rules have to be changed in any respect? Do you foresee the game being delayed whatsoever because of these recent changes? Greg: We have made no changes to the rules or game mechanics based on the events of the last few months. We've still got a pretty big chunk of work to do, but we don't believe there will be any significant delays in our final completion path. GB: There are three popular RPGs currently in development that will include an editor allowing players to modify many aspects of the game: Dungeon Siege, Morrowind, and Neverwinter Nights. How do you feel NWN's ability to create modules will stand up to the customization of the other two games? Greg: We can't really comment on the tool sets of Dungeon Siege or of Morrowind as we've never used them - we make a point of not speculating. Saying that the Neverwinter Nights tool set is really easy and fun to use certainly isn't speculation though as I've had the pleasure of using it quite a bit. One of the most exciting things about what we're doing with the tools is making them accessible to anyone - people with very limited technical experience should be able to make a module and then play it. As far as I know no other game to date has reached that goal. We are very confident that the Neverwinter Nights tools will unlock incredible creative potential in the community because of its ease of use. GB: Pool of Radiance: Ruins of Myth Drannor was the first game released that incorporated many of the 3rd edition rules, but some people were disappointed at its lack of character customization due to the fact that you couldn't select your feats and skills (among other things). Can you tell us what you've done to make sure players feel like their character is (unique) in NWN? Will there be any notable aspects of the 3rd edition rules left out? Greg: We are allowing players to select individual skills and feats both at character creation, and when characters level up. For people that don't want to totally customize their character we will have a couple options. One option is the ability for the game to make recommendations for the player in choosing skills and feats, and the other is the ability to choose among various '˜packages' of skills and feats (e.g. we make presets of brute fighter, dual-wielding swordsman, etc.). We understand the importance of allowing players to customize their characters if they wish.